From burlesque to fancy dress, politics to freaky tricks, laughs to an upside down full grown purple calf. What do all of these mean combined? It’s the Edinburgh Festival Fringe time! Here is your Edinburgh Festival Fringe Guide. 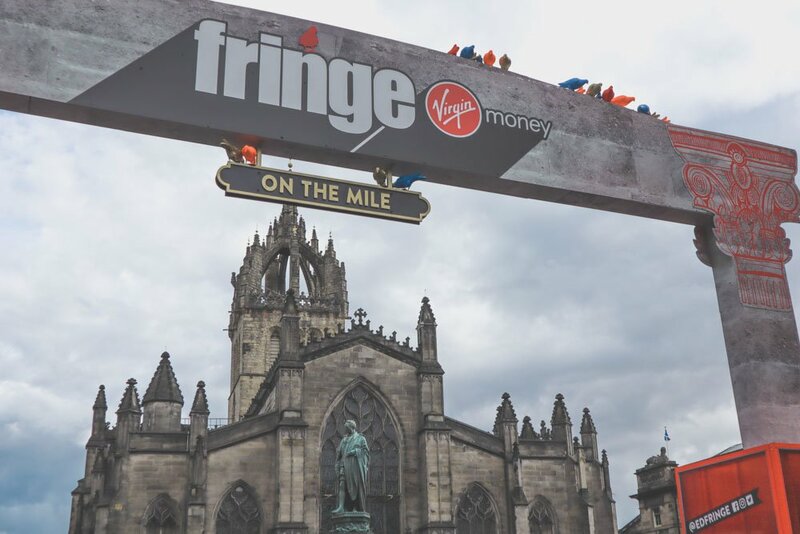 For three weeks in August (Edinburgh Festival Fringe dates for 2019 Friday, 2 Aug 2019 – Monday, 26 Aug 2019), you have never seen Scotland’s capital so alive. It is the ultimate time of year to visit Edinburgh. Come rain or shine * insert joke about Scotland’s weather here* you are guaranteed to laugh, cry, cringe and gasp and that’s just over your hangover (thanks to Edinburgh City Council’s extended drinking hours!) But jokes and rhymes aside, I’m excited to share my years of experience and teach you how to do the Edinburgh Fringe, like a local, in this quick guide. So it’s all on One Cobbled Street, Right? Don’t Plan for The Fringe! What do you want to see?! Comedy, plays, musicals, puppet shows, live radio, cabaret, a single girl telling you how bad her life is through Beyoncé songs? With over 3000 acts, Edfringe has it all! A good starting point is Edinburgh Festival Fringe. The official site has an extensive catalogue of events. For the latest updates, follow Edfringe on Twitter. Remember to add #EdFringe #MakeYourFringe if you want to share. You can also download the Edinburgh Fringe app to help you plan the your calendar. On the app you can research events by date and time and purchase tickets. Most of the Scottish newspapers will provide Edinburgh Festival Fringe reviews and suggest the best shows to see this summer. Finally, just check out the walls. No space is safe during the Edinburg Fringe! PRs selling shows will greet you (whether you like it or not) on the Royal Mile as you attempt to battle your way through the crowds. The amount of waste during the Fringe really does get me down. Wrong! The Fringe is actually pretty spread out and boasts of nearly 300 venues so you need to know your Pleasance from your Underbelly! Assembly Halls (yes another, don’t mix these up.) I endured Jim Jeffries cutting set here – don’t go with your Mum! Every nook and cranny of Edinburgh’s Grassmarket is consumed by the Fringe. I was in the right place (their music tent) and the right time (about 20:30) and managed to bag free tickets to a show here. I was annoying and tried to heckle. 2017 venue: George Heriot’s School, EH3 9EQ. 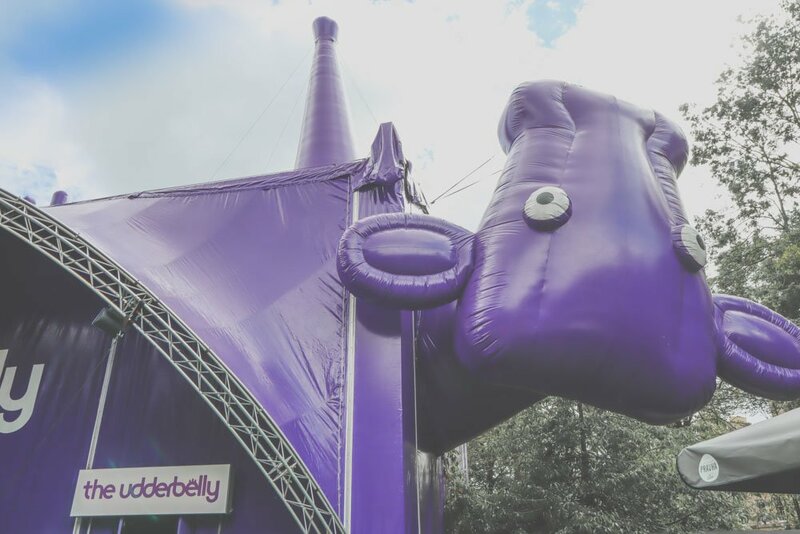 Underbelly is one of the largest venues during the Festival Fringe with pasture at George Square, Circus Hub on The Meadows, Topside at the Edinburgh Festival Theatre and the original Cowgate site. I’ve seen quite a few small cringe-worthy shows here but also some extremely funny ones. There are bars at every venue, naturally, it is Scotland after all. If you have time in Scotland, I suggest looking into the North Coast 500 in the Highlands of Scotland. It starts at Inverness the goes all around the coast, taking in turquoise sea beaches with white sand (like the Maldives minus the sun!) by castles and distilleries. Take a stroll down the Royal Mile and watch the free performers or see snippets of shows which aim to advertise. 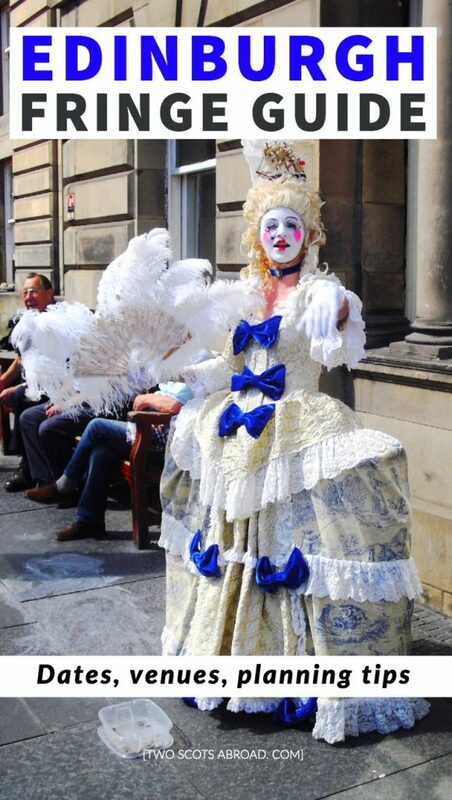 There are hundreds of Edinburgh Festival Fringe free shows dotted around the city. Just hit ‘filtered results’, select ‘special pricing’ option then tick free here. It is expected that you pay the show’s worth at the end of the performance. Arrive at the start of the programme to enjoy the 2-4-1 cheap seats as the acts warm up. 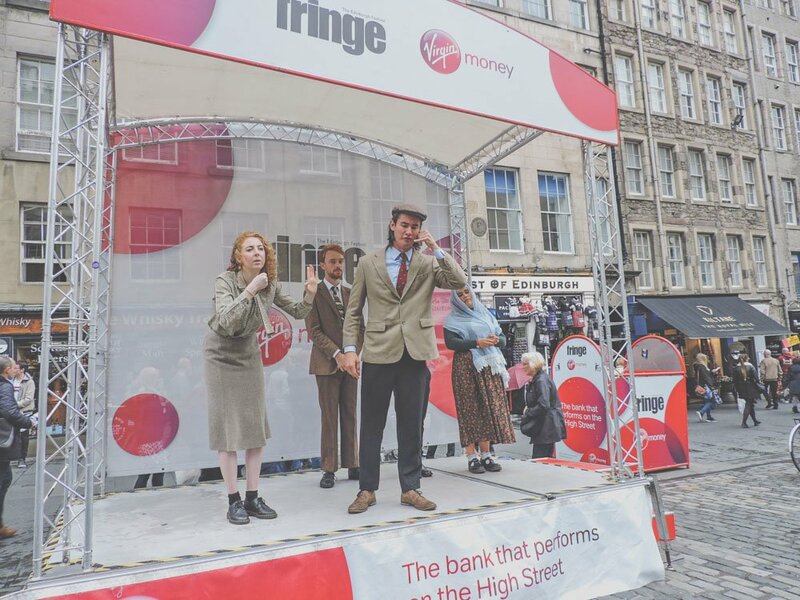 For thrifty Edinburgh Festival Fringe deals, head over to the Virgin Money Half Price Hut to see if any shows need bums on seats. Tickets must be paid for in person. Craig hates planning. It has been known for me to take a bottle of contraband along to the Fringe and just soak up the atmosphere. Let’s face it, you can’t plan for every day when you follow the Fringe Junky philosophy of wake up – Fringe – sleep – wake up – Fringe – sleep and repeat. Some of the best shows I’ve seen, such as Baby Wants Candy, were watched on a whim. Plonk yourself down and celeb spot! A couple of years ago I was stoked to meet the Scottish comedian Danny Bhoy but that was knocked off the top spot after spotting The Big Yin himself, Billy Connelly, sauntering past with his hair bouncing behind him. Check out this 90-second video on Edinburgh Festivals. Last year was a good as any other. I recommend looking out for the following in 2019. Ashley Storrie show, the comedian from the Scottish Harry Potter viral video fame (crude language alert). The very sweet Jon D. Harvey’s TreasRETrove (£9). I can’t say much about it but the twist blew my mind. I went twice. Sad to not see Showhawk Duo on the 2018 list. Managed to catch their free show on the Royal Mile last year. Aunty Donna (comedy sketch group). Reginald D. Hunter (comedian – we saw him in Aberdeen). Baby Wants Candy (improv show recommended by me too, seen it three times). What do you recommend? Did you know that the Fringe is not the only Edinburgh festival on in August? Edinburgh Fringe Festival accommodation is expensive and in high demand. Hotels in Edinburgh during the Edinburgh Festival start at approx. £95 and reach the highs of £550 per night. Hostels are cheaper at £18 – £50 for a dorm bed (there is often a minimum stay). Airbnb is also an option with an entire property averaging at £215 and private room, £81. Accommodation books up fast so get in quick. Remember to sign up to Airbnb using this code and you’ll get money off your first booking and we get credit in return, thank you! An alternative option is to search Edinburgh Festival Fringe University Accommodation by clicking here. 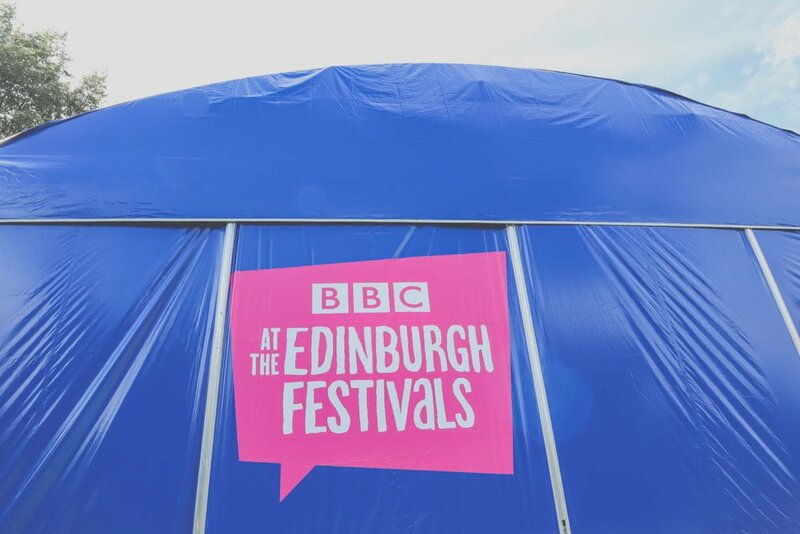 Edinburgh Festival Fringe 2019 takes place from Friday, 2 Aug 2019 – Monday, 26 Aug 2019. 2. Can I avoid staying in Edinburgh? Yes, and many locals actually do the same! 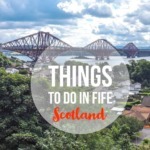 Check out the commuter towns of Dunfermline and Inverkeithing in Fife, the seaside town of North Berwick and even Leith just outside of the city centre. 3. How busy does the Fringe get? We’re talking Rome’s Vatican in July or Iceland’s Golden Circle June-August. The Old Town is jumping during the Fringe. Some love it, others hate it. Any shows you really want to see are best booked in advance. Expect to wait in line for free shows, especially at the weekend. 4. Is there a Fringe App? Yes! This will help immensely with your planning too so well worth a download. 5. 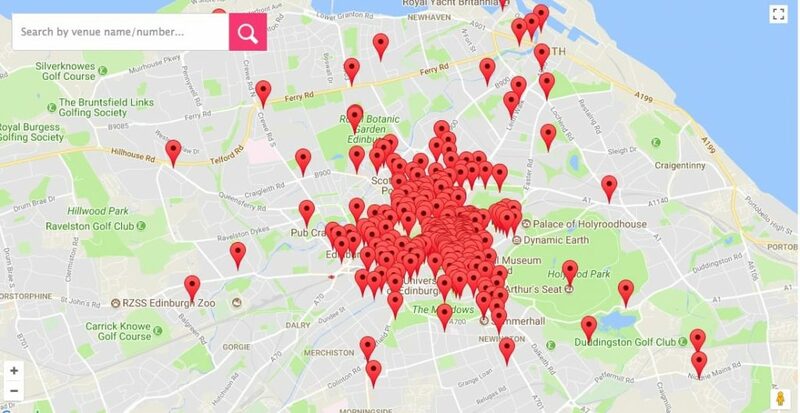 Where is the Edinburgh Fringe Box Office? The official box office is at 180 High Street. However, different venues have their own box offices too. These are found at the venue location. There are also a variety of pop-up box offices too around the city. If you really enjoyed your time at the Fringe, why not return for our Edinburgh International Book Festival. I had the privilege of listening to Malala Yousafzai speak about her new book at this book festival. Oh and don’t forget to check out the best bars in Edinburgh. What tips do you have to make The Fringe the best year yet? Thanks for the great tips! I’ve never been to Scotland or the Fringe Festival, but it looks so fun! New York City has a Fringe Festival, as do many other cities. Have you been to any others? How do they rate to the vibe in Edinburgh? Today I am just learning about all of these different Fringes! I wasn’t aware of the NYC one, I wonder how it compares. Wow–over 3,000 acts! That’s crazy! Sounds like a great time–I always love theater and any kind of show like this. Thanks for the tips! Thanks Jenna! It is a wild time in the city. I’ve been to Fringe Festivals in Canada, but nothing like Edinburgh’s I’m sure. Edmonton had a good one, but nothing like the madhouse that must be this one. I bet it’s so much fun. This has just started to come on to my radar. We are in BC just now but think we have missed Edmonton’s Fringe? I visited Edinburgh in the winter about 8 years ago and heart of the Fringe for the first time then and I’ve always wanted to visit ever since. One day! It looks as if it is here to stay! That would be amazing Britt! Your Grandma probably has better tips than me. Edinburgh is such a great city any time of year! You may be happy not to see it as busy as it gets in August! Hahaha, great to see somebody elses perspective on the fringe. For the past few years living in Edinburgh I usually picked just about a handful of shows I really wanted to see (as just looking at that massive program makes me super anxious, its just too much stuff at one time hehe) and then just meet up friends and do a bar crawl of free fringe shows. Of course, due to the lack of planning here one in more prone to missing some great acts one may have enjoyed, but if one always considers what one could miss, its a vicious circle. Thanks for sharing! Wow cool!! Never heard of Festival Fringe! It sounds like a fun and unique event – I’d like to see a puppet show done with the Scottish accent ^_^ Maybe I’ll be able to check it out next year! Ha ha! Plenty of muppets in Scotland without seeing The Fringe! I have never heard of this. It looks like a fun festival and a great way to see a lot of shows. I am like Craig, I don’t like to plan. Plans mean you are stuck. But then again with the number of people at this, a plan might be wise. This festival is awesome! I went on a few events during a summer I spent in Edinburgh. It seemed that life stopped for 3 weeks, everyone was dancing, singing, laughing..great times! It really is such a happy time. I used to a lose a week of my life (great being a teacher for the summer holidays!) seeing free shows and socialising. Thanks for reading Maya, do you have any other festivals that you recommend? Sure, one in my hometown 🙂 In Trencin, Slovakia we have a music festival every July for 4 days but its packed. It’s called Pohoda and it is one of the biggest in Europe. So many events and concerts going on and little time to sleep in between. I will keep an eye and ear out if we are in Slovakia (it’s been a while!) in up and coming Julys. I’ve had the fun of being part of the Fringe this year with a sustainable cinema event but luckily getting some time next week to catch a few shows ourselves before it finishes up. Will very much be a turn up and what’s going cheap affair. Wowzer, you are on the other side of the fence. It must be knackering?! I am planning on heading over next Saturday too. Craig is there today and the sun is shining! Ahhhhhh!! This makes my heart hurt, as I was planning on going to the Fringe for a second time this summer, but just didn’t have the funds to make it a reality. I know the acts can be reasonably priced, but accommodation, food & drink, and getting there all cost a pretty penny! It’s 100% worth it, though! I LOVE Baby Wants Candy!!! I saw them for the first time at the Fringe, and then imagine my surprise when one of the improvisers from the show taught my improv class in NYC? She even remembered the specific show I had seen that summer! And this -> “a single girl telling you how bad her life is through Beyoncé songs” I am particularly happy that I am in on this joke and I saw that performance!! hahaha..Hope you’re having fun this year at the Fringe, wish I was there! Can’t thank you enough for this. Am looking to do the tail end of EdFringe 2018 and was really hoping to get some tips from a native who had done it. Allow me to return the favor if you ever get a yen for SXSW. Aw cheers Stephanie! I love a bit of social exchange. Really buzzing for SX already. Think it’s the spout of good weather we’re having getting me in the food. 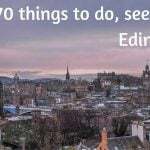 We have heaps on Scotland which you can find here, you’ll definitely want to check out our 70 things to do in Edinburgh post too. Come back with any questions. What a load of what’s it this site is; I hoped to find recommendations on what to see at the Fringe and ended up trawling through pages of asinine how’s-yer-father. Well, that’s lesson for me. Sorry, you were underwhelmed. Not sure why you are trawling through pages when it is only one article. Have fun! Baby Wants Candy is always a winner. Thank you, I may have been reading the wrong stuff. I shall look into your suggestion. No problem Chris. I’m going on Saturday so will update with a few ideas. Thanks Gemma, that would be good, anything else you think might be worthwhile would be appreciated. I really like musicals which I know isn’t up everyone’s street – Game of Thrones Musical was hilarious last year. Monkey Barrell is good for ‘free’ shows, it’s actually a permanent comedy club now (just off the Royal Mile). Will be back again next week with more.